I like guidance, and Lord knows I’m not afraid to ask for it. 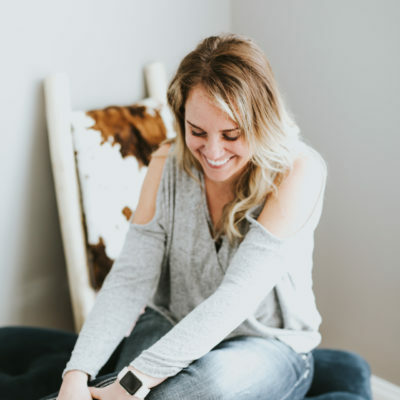 Behind-the-scenes of my creative business, I have an incredible husband, a crazy-supportive family unit, business mentors, a personal coach, a private, professional network, and a number of other creative partners and peers. I reach out to them often, and I treasure our connection … I love them all dearly. But every now and again, my uncertainty is so overwhelming that not even these wonderful connections can soothe me. Sometimes (like today), I want an even greater perspective. I need someone to tell me that everything’s on track, there’s no need to worry, and everything is happening for the highest good of all concerned. My children and I are moving in two weeks, and that has us departing New Zealand almost two months ahead of my husband’s end-of-tour here. We planned it this way so that we can find a house and get our children settled into the new and different U.S. school system (we’ve learned from experience that it can be quite difficult to adjust to international differences in grade school). The thought of traveling alone with four children makes me nervous. I’m sure I can do it (we’re all quite practiced at this), and yet I’m anxious. I’ve also grown weary of being worried. While my professional life has been growing, I’ve been dealing with personal setbacks, such as, Where are we going to live next month? and Can we find the house for us in this market? and Where are the children and I going to sleep/stay/do once we land in Virginia? When you’re a couple who has decided to build and nurture a large family, you learn to work together really well. If you’re a good set of parents, you learn to play off of each other’s strengths. I feel one of the reasons our family has seen such amazing success is because we’ve learned to identify and encourage each other’s individual power. It makes us a forceful collective. Can you sense that one phase of your life is ending and a new one is beginning? Do you feel that you’re on the verge of exciting new possibilities but aren’t sure where they’ll come from? Does it seem that your life as you know it is crumbling before your eyes? You aren’t imagining things, nor are you in danger. You’re simply breaking free from past karma and releasing your spirit to a greater tomorrow. Your soul’s purpose right now, like a butterfly finding its way out of its cocoon, is to shed the past and soar to new heights. You’re on the threshold of spreading your spiritual wings in brand-new directions of understanding, and embracing your full potential. This is a very exciting time, and well worth preparing for. Your soul’s lesson: Clear the decks and release what no longer attracts you. Step away from things, situations, and people that bring you no joy or vitality, because you can’t reach out for something greater if you don’t first drop what’s in your hand. You’re entering spiritual adulthood, able to fully engage with life on your terms. 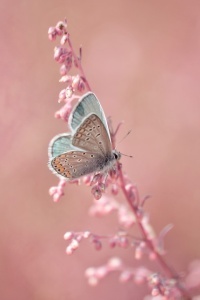 Change can be difficult, but don’t be afraid; even the butterfly as it emerges from the cocoon thinks that it’s dying. All that’s ending is an old, stagnant self that no longer serves your spirit, so turn your fear into action. Who are you today, and what do you want to experience right now? The answer is unfolding, and you’ll love what you discover. Nothing stands in your way. And to that I say: Thank You. I am so very grateful. How do you center yourself in difficult times? 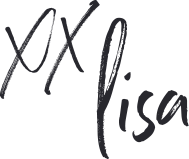 Lisa, this must sometimes seem overwhelming, even though you and your family have done it before; moms frequently are the ‘rock’ that holds everything else steady in times of change. It’s beautiful that the card you pulled was one that spoke so directly to your needs right now. When I feel overwhelmed, uncertain or my world feels out of control, I make myself go into a quiet room, preferably my bedroom or outside, and just BE, and LISTEN. I believe God has given us all that we will ever need, but it’s up to us to listen for the markers along the path. My son taught me to just Let It Be, and not try to always be the Bus Driver … sometimes, it’s just not my turn to know what’s happening! Love your posts, even though I don’t comment often! Thanks very much — and hugs, too! I so appreciate your comment, Sheryl! Thanks for your understanding and well-wishing. I also love your method for calming yourself: Beautiful! Lisa I know you can handle your transition. You give so much to this world and this world will support you and your family because of your giving. Just reach out your hand and someone will be there to hold it. You might not see that hand but it is there always. Blessings and light to your husband your children and of course you for a safe journey. That’s so kind of you, Laurie. I truly appreciate those words! Lisa, thank you for this post and this “card” of wisdom… I am starting a new job on Monday and feel I have a big sore heart in my chest right now as well… despite the excitement… Sometimes, the anxiety takes over. Your post has had a soothing effect. I hope it did the same for you. Thank you, Celia! I like Alexandria, but my husband doesn’t have to commute to D.C. so we’re relocating out closer to the Shenandoah mountains, though we are staying to the north. I so appreciate your reassurances! Wishing you the best of luck and happiness in your new job!!! !